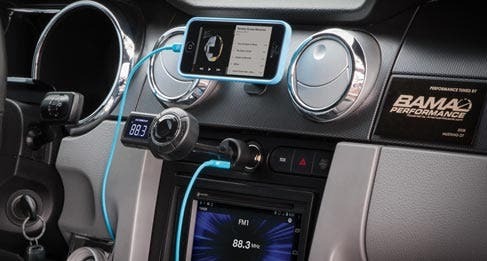 The FreqOut pro™ , digital FM transmitter for iPhones allows you to play music through your car stereo from your iPod or iPhone. 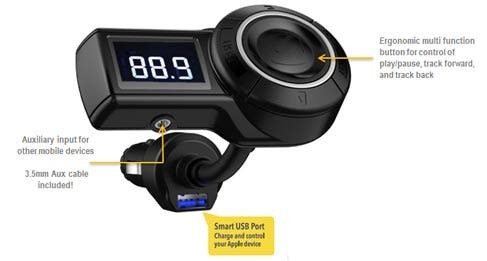 The innovative design of the FreqOut pro™ lets you charge your iPod or iPhone while you play music with a USB interface. 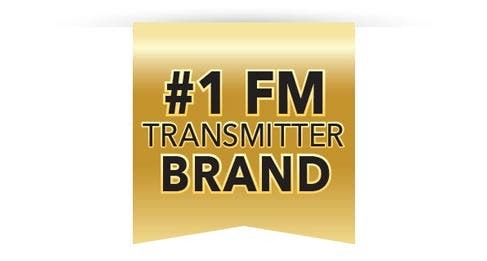 The FreqOut is the only transmitter with a digital to analog converter. This allows it to be fully compatible with the iPhone when directly plugging into the Lightning port. Charge your device with the built-in Illuminated USB port. The port provides with you 2.1A which allows your smartphone to charge safely at its fastest rate.